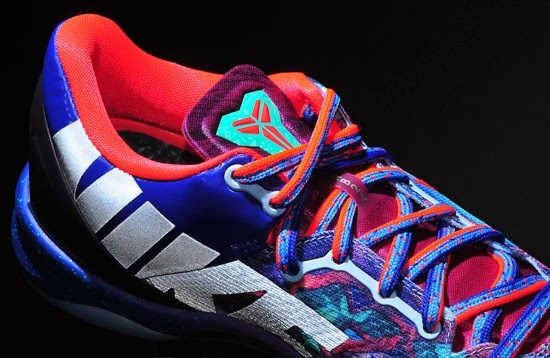 Once again there will be another "What The Kobe" release. 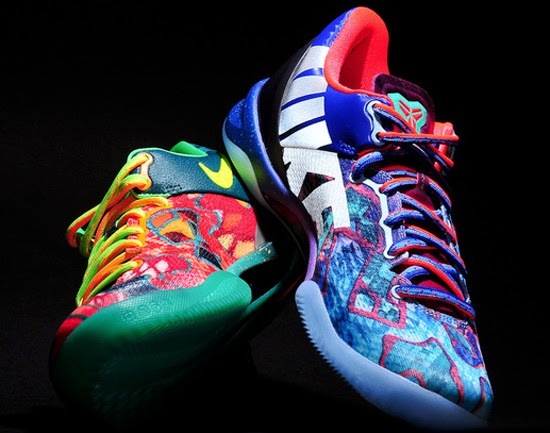 This time it will be on the Kobe 8 System, due out later this year. 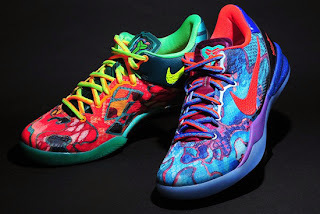 The "What The Kobe" Nike Kobe 8 System Premium features elements from various colorways of the Kobe 8 System and Kobe 8 System Elite releases throughout 2012 and 2013. 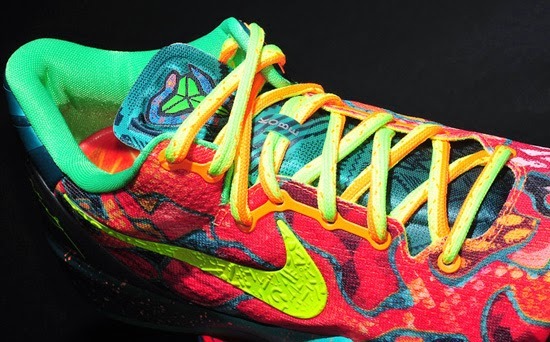 It is the latest pair to join the "What The" collection as we have seen the "What The KD" KD V and the "What The LeBron" LeBron X PS Elite release earlier this year. 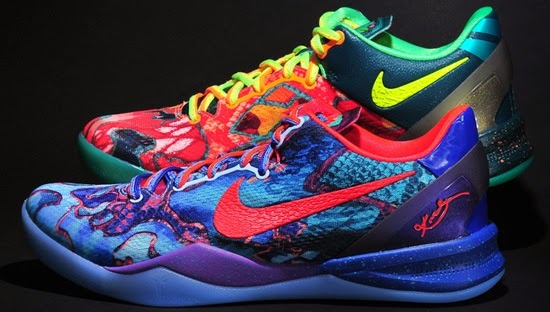 While no release date on this Kobe is confirmed at this time, expect to see it release before the end of 2013 as a limited release. Once an official date and pricing is announced, I will make an update and let everyone know. 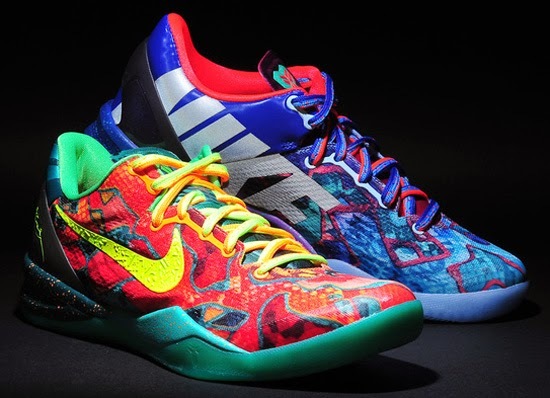 Enjoy the detailed images below of the Nike Kobe 8 System "What The Kobe" in multi-color and multi-color. If you're interested in picking these up when they release, check in with your local spots to see if they will be receiving them. Those of you looking for a pair now can, grab them from eBay here.